Cover: Blue cloth, yellow lettering. Dustjacket. Edition notes: First US edition. Publication of The Witch ends at chapter 19, followed by a brief note from J B Pick summarising the remaining "collection of unnumbered pages". 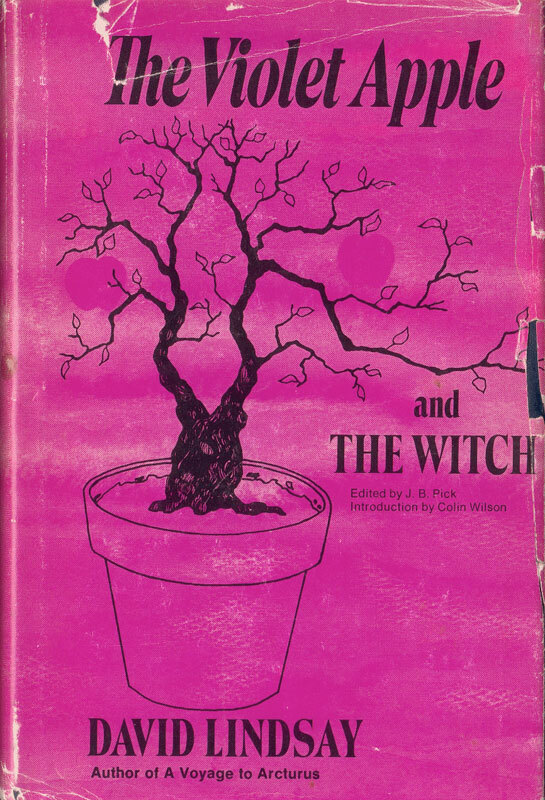 There are a few textual errors in The Violet Apple portion: in a couple of places, pages have been set in the wrong order (though the page numbers don't indicate this), and there is a missing portion of text, probably the equivalent of a page of Lindsay's typescript, which should be on page 221. Thanks to Lawrence Cassidy for the cover image.